Happy Sunday, everyone! 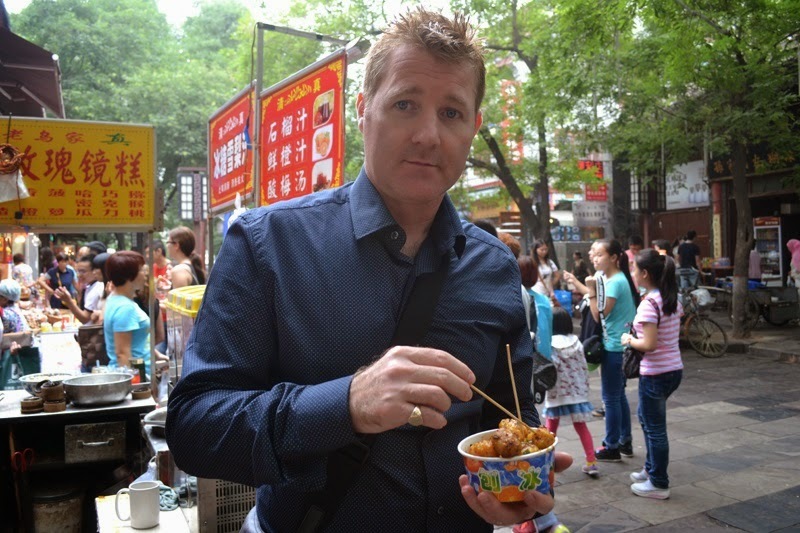 Today I will be sharing photos from the second leg of our trip to China. You can read about Part 1 here. 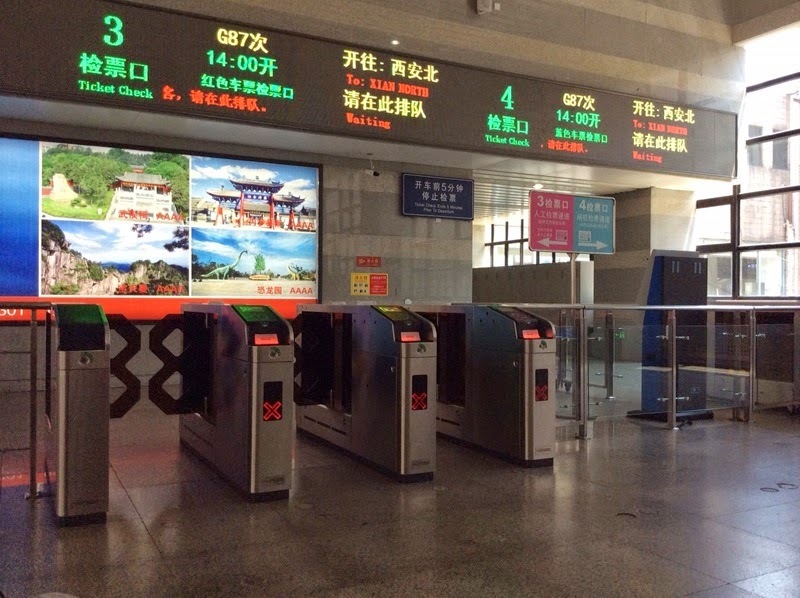 After spending a few days in Beijing, we headed to the Beijing West Railway Station and took the Bullet Train to Xi'an. It would have been quicker to fly to our destination but we decided to take the scenic route and travel via train. Running at speeds of over 300 km/hour, the four-hour ride went by in a flash and before we knew it, we finally arrived in Xi'an. 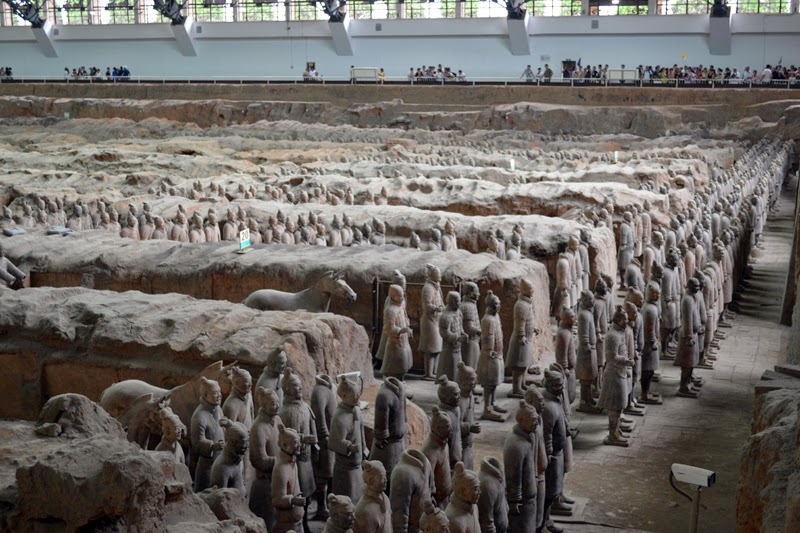 No trip to China would be complete without visiting the Terracotta Warriors and Horses Museum, the largest underground military museum in the world. 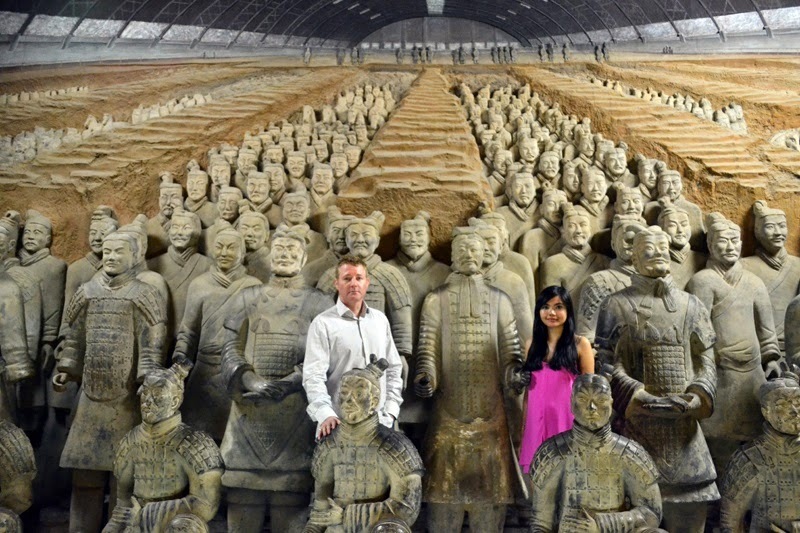 My husband and I were particularly excited for this part of the tour because as huge history buffs, we have been fascinated with the background and mystique surrounding these life-size figures. It was surely a sight to behold. Seeing so many warriors, horses and chariots lined up took my breath away. I can only imagine what they would have looked like in their full glory, painted and ready for battle. 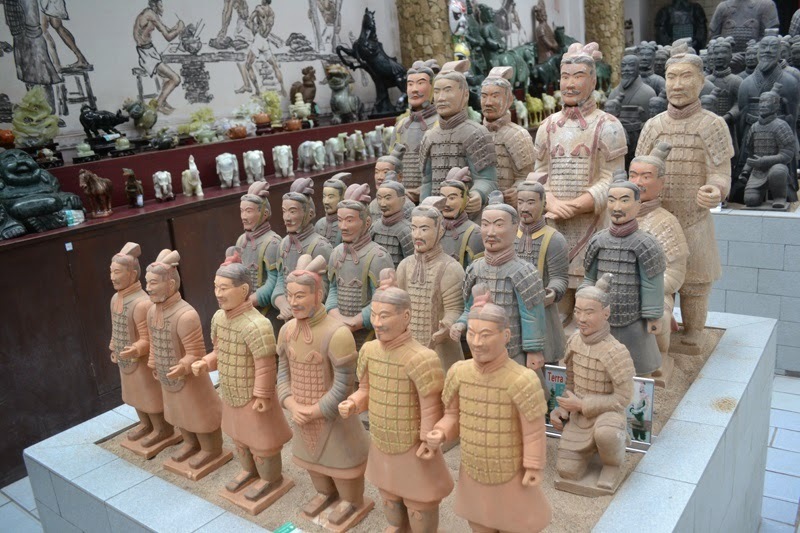 Here's a tip when buying souvenirs, do not purchase the crappy Terracotta Warrior set sold by street vendors for RMB10. 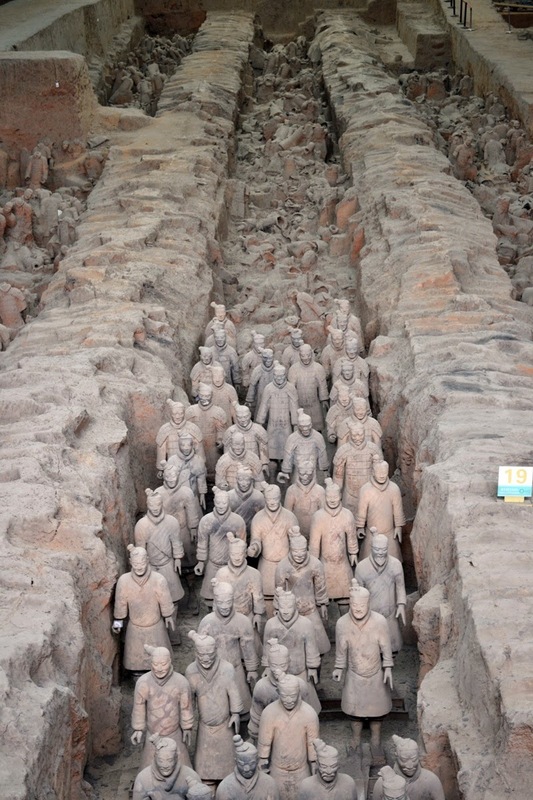 Instead, go for the more expensive ones (RMB85 per warrior) as they are made from the same clay material as the real armies. We stayed in one of the Executive Club Rooms at The Westin Xi'an and we couldn't have picked a better location. 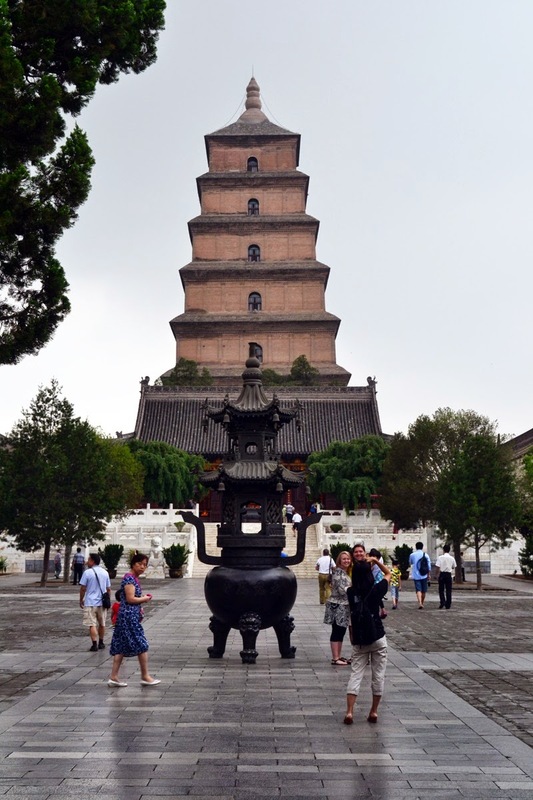 The hotel was directly across the Big Wild Goose Pagoda and was within walking distance to an upscale shopping area. After spending the following morning exploring the Pagoda, we took a taxi to Muslim Street. 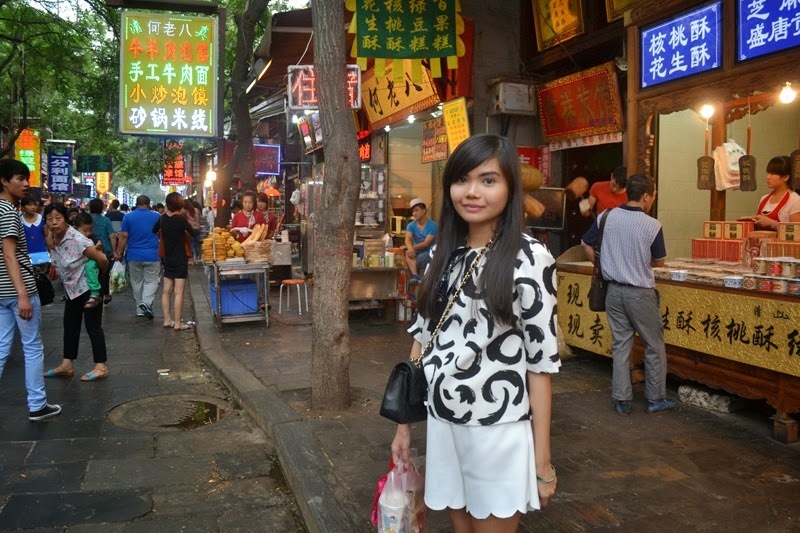 Aside from the usual clothing/ souvenir shops, this tourist spot is also lined with various restaurants and stalls, some of which specialize in selling cakes, dried fruit, marinated meat in a baked bun, and Xi’an Dumplings, amongst others. 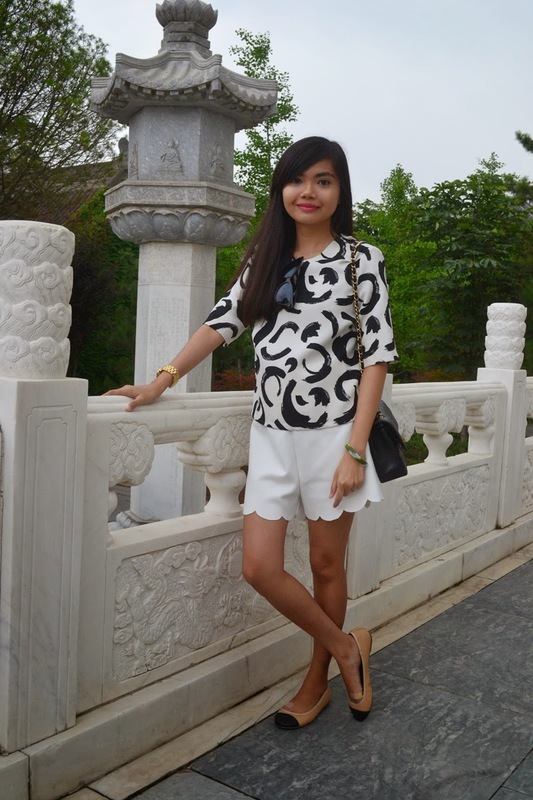 This is what I wore to a full day of shopping and sight-seeing. 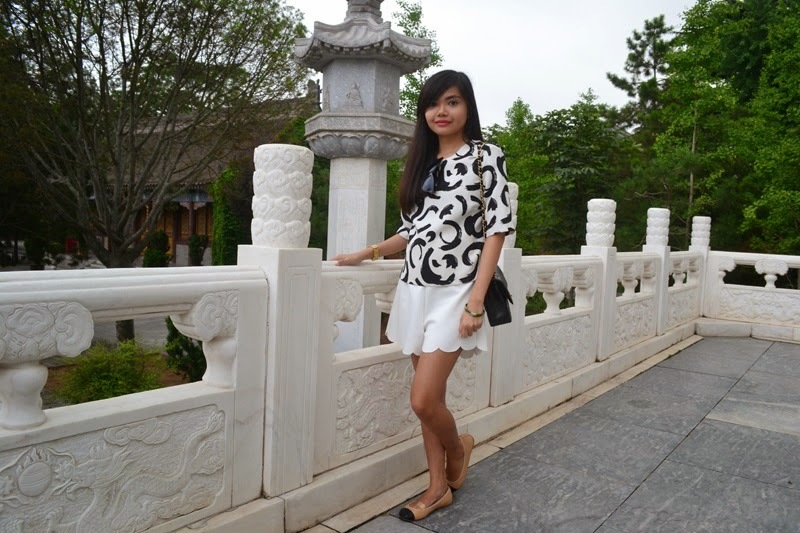 I paired my graphic top from Zara with scalloped-hem shorts from Front Row Shop. 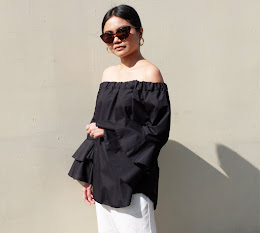 I finished the look with my Chanel bag and two-tone ballet flats.